Because the mod focuses on port-exclusive graphics and not some hires garbage. If wasn't possible to do it by yourself, maybe I would agree with this but... you can do it by yourself using MagicTXD and for your personal use as well. and how will i do through MAGICTXD? It just helps with texture filtering, its not hires or garbage at all. Yeah it would be cool! It seems there are enough projects like that already. One thing I still feel like doing at some point is a nice car pipeline that combines the good bits of neo and mobile or something. I installed ThirteenAG's Widescreen Fix and SkyGfx for Vice City. But Widescreen fix have d3d8.dll and SkyGfx have d3d8.dll. Which i use ? San Andreas ALREADY SUPPORTS 16xAF, just the TXD's do not have the flag for them (and most textures don't contain mipmaps). Use Magic.TXD and set the flag to force 16xAF if you want it, in VCS PC we include mipmaps for the texture and then include a toggle so the game can chose what level it wants, but the reason we can have this IS because we control the TXD's. Fun Fact, I built the TXD for the detail maps in SkyGFX and did include mipmaps for them, so the option WILL work with that at least. If I set dualpass to higher value, farther grass shows before the closer grass, is that a bug? What the hell? What kind of mod is that vegetation? Looks oversaturated. But why would you even set dualpass to a higher value? 1 and 0 are the only acceptable values because it's technically true or false. It might have something to do with any draw distance modification you are using. It's default color PS2 filter with original vegetation but a higher quality mod, and YCbCr Correction set to 1 (to replicate PS2 output colors). There is an option called zwriteThreshold which default value is 128, if you increase it vegetation looks less odd, this the only drawback. higher then 128 actually renders some distant stuff on top of things that are in front of them in 3D space, the detail textures from rocks for example render over the distant conifer LOD's. 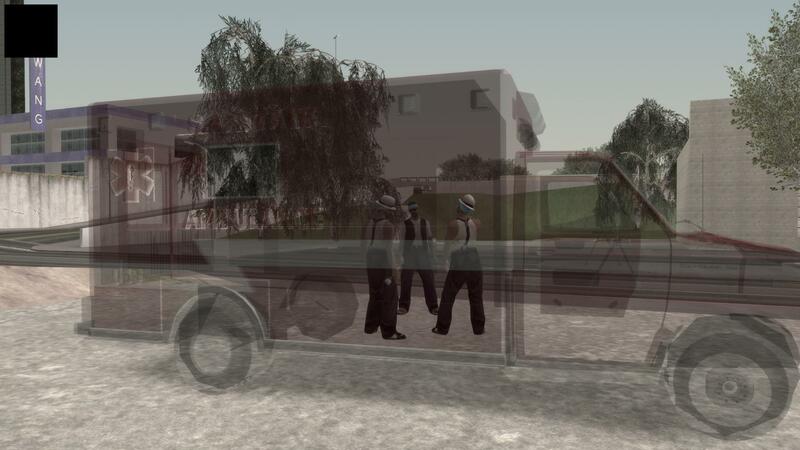 It might have been answered already but why exactly is the dynamic pedestrian shadows and stencil shadows disabled by default on the latest version of SkyGFX for San Andreas? Are we not supposed to be using those features? Are they bugged? I'm sure you installed the ini with PS2 configuration and that's why you are with low quality shadows, enable them again or use another ini config if you want. I never liked those shadows. The dynamic ped shadows are fine but the stencil shadows are pretty sh*t imo. They are too hard, look buggy on some vehicles and especially the combination of the two kinds of shadows when you're on a bike doesn't look nice at all. The traditional shadows look much better to me even if they are a bit simplistic. Hey bro...need a favour ! Would be nice to have CULLING enabled when the flag hasAlpha is ON, for each one vehicle pipeline. 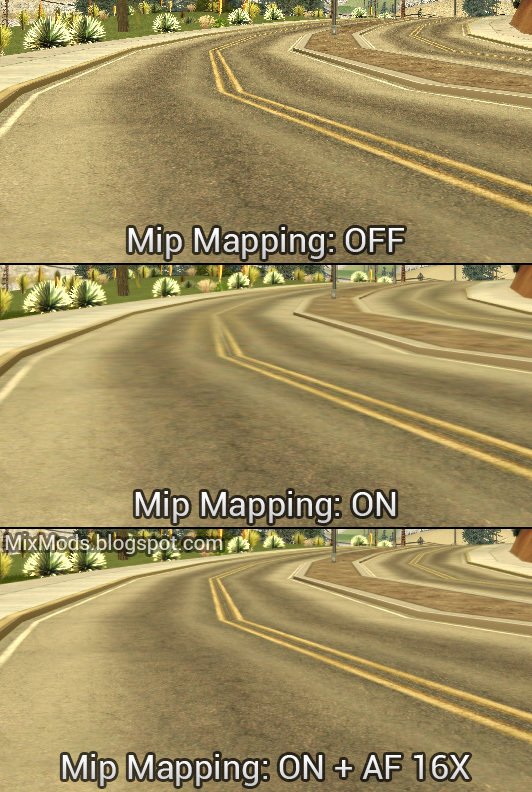 I'm having really ugly transparency in my mod, when I change all material alpha for a specific car. Probably no performance impact, since it's only for one car, and only for "alphaed" materials. You want backface culling on? I don't think I want this. Maybe your problem can be solved in a different way? what's the issue? No SkyGfx : I can see very few internal parts. I can see those guys behind. 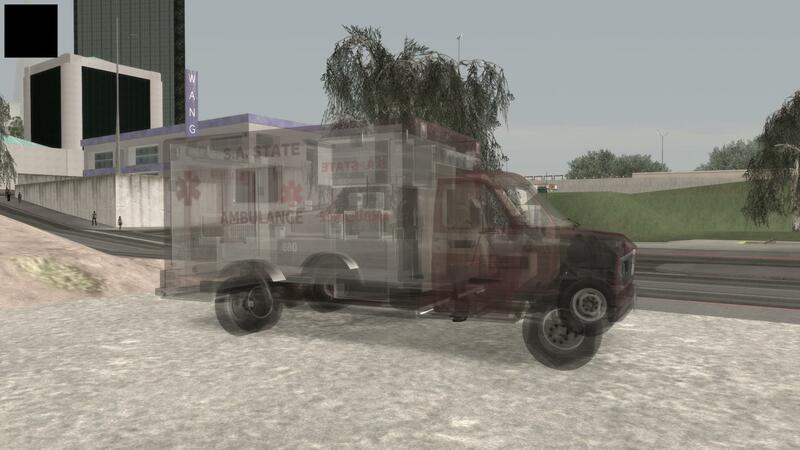 With SkyGfx : I can see medical instruments inside the ambulance. I cannot see much behind. I see. I don't think I'm actually changing the cullmode though, you should be able to set it what you like before the render CB. Changing subjects...and looking at your code right now : why neo reflections are so much heavier than mobile reflections ? I don't think vehicles should be rendered with culling enabled. Otherwise you'd only see one half of windows and so on. This would be a bug. Now in fact culling is enabled when the vehicle lights turn on and Silent has written about it on his blog. But I don't touch it at all (at least not to my knowledge) and I would like to keep it that way. What do you mean by heavier? I also confirm that neo reflection is heavier than mobile reflection. Heavier means it takes more fps than Mobile one.